Ready to build your dream home or confused about the design and building process? Whether you home is under 1,800 ft2 or over 10,000 ft2, there are certain steps you’ll have to take to turn your vision into reality. Fair warning: the process of building a custom-designed home is not for the faint-hearted. Most home-build projects take between a year and eighteen months to come to fruition. During that time, you’ll have to make a lot of decisions and speak to a lot of professionals, from designers and engineers to builders and inspectors. Of course, it’s all worth it because you’ll be rewarded with your ideal home. Nonetheless, it can be a daunting process, which is why I’ve put together a simple guide to the steps you’ll have to take to turn your vision into reality. This is the basic vision of your house. Yes, you’ll need to get a pencil, eighth-inch graph paper and ruler, and get drawing. But you’ll need to do this before you take any of the following steps. Don’t worry. You don’t have to be an artist. All you need to do is put down basic room information and sizes. If you’re not sure where to start, use your current home as a benchmark. Then think about the additions (or deletions if you’re downsizing). Do you want an open-plan kitchen, bay windows and a porch? Would you like to turn that fourth bedroom into a laundry room and have direct access to the garage? As you sketch your house plan, think about the flow from one room to another. This is the time to let your imagination—well, not run wild (you do have a budget after all)—but at least be stimulated. Find inspiration from magazines, ride around a few neighborhoods, check out Pinterest.Finally, consider the overall architectural design of your home. Do you want modern or traditional, craftsman or cottage? Once you’ve got your sketch, you’re ready for step 2. Some residential developments have an Architectural Review Board (ARB), a Design Review Committee (DRC) or an Architectural Review Committee (ARC). Whatever its name, its role is to maintain the character and property values of the neighborhood. If your new home or remodeling project is in such a development, it’s important you get the board’s design criteria before you start the design process. Your architect or house designer (see next step) will need to know all ARB criteria and restrictions as these are incorporated into the design. You’ll have to submit your draft house plan to the ARB for review, Members of the board will evaluate your plans to make sure your home will fit the look and feel of the neighborhood. 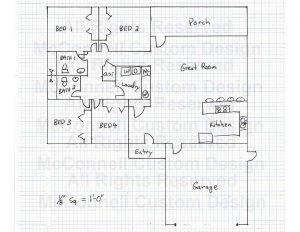 Your next step is to hire the professional that will turn your sketch into a computerized blueprint that you can use to get bids from builders. You can approach architects or house designers for this. Both offer similar services and have similar skills, and both have different levels of experience, so you’ll need to phone around and find one that suits you and your budget. Ask for references and ask them what their process is. It’s important you feel comfortable with the person who’ll be designing your dream home. After engaging a professional, you’ll be invited to a meeting to discuss your sketch and vision in more detail. Be prepared for questions about the way you want your home designed. For example, what sort of exterior do you want (stucco, siding or brick) and what sort of roof material (shingles, metal or tile)? Do you have any easements or setbacks on the lot or is your house in an architecturally restricted area? Don’t worry if you don’t have all the answers at this stage. The professional will guide you through this particular maze. Once the main questions are answered, work can begin on the blueprint. Using a specialized computer program, the architect or house designer will produce a house plan that meets minimum safety and building standards, maximizes space, and doesn’t exceed your total square footage. In short, he or she will maximize the potential of your design within the budget you’ve agreed.Your sketch will need reviewing and refining. It takes a little time to create an accurate floor plan that a builder will accept, and there are bound to be changes made along the way. Custom Home Design Fees by McConnell Custom Design. It’s time to get on the phone again. Draw up a shortlist of reputable builders, then call for estimates based on your newly created house design plans. While you’re talking to them, ask for references (i.e. past customers that you can call for a review). You may also want to visit some of their job sites to get an overview of how they work. It’s important your house design is ready before you contact a builder. They’ll need a good idea of what your home is going to look like before they can give you an estimate. Your architect or house designer will provide you with a PDF version of the design plans, which you can email to builders.Tip: It’s a good idea to check the status of a contractor’s license before you hire. If your home is in St Johns County, FL, you can do a Contractor Search here. You can also review the list of general contractors that I work with on a regular basis. 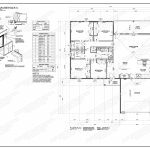 The contractor that you hire will be the one who takes your custom house design to the relevant engineers for approval. If you are acting as the general contractor you will need to pick a truss company to acquire the truss manufactures engineering required by the structural engineer. Generally structural engineers cannot do there work until they have truss engineering. Learn more about building yourself. Please note truss engineering and structural engineering are not the same. The first port of call is a truss engineer. Trusses are basically support structures that can span a large space due to their triangular shape. 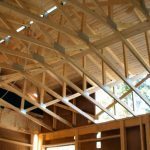 In residential construction, wooden trusses are often used to support roofs because they’re incredibly strong, more economical than solid beams, and be can just about any shape. The truss engineer will ensure the truss in your design has the stability, strength and rigidity required to support your roof. The second port of call is the structural engineer, who will check not only the structural soundness of your house but also the ground conditions of your lot. In the case of remodels, he or she will ensure the new roof, walls or foundation won’t overload your home’s existing structure. The reports that the truss and structural engineers produce are used to get your construction permits from the local authorities. It also gives the green light to the builder. Please see the list of local engineers. Whether you’re building a house from scratch, remodeling or putting on an addition, you’ll need to get the relevant permits from your local authority before work begins. If you don’t, you could end up with a heavy fine. Each city or county has its own rules and way of doing things, so it’s worth taking the time to read carefully the regulations in your area. For example, in Florida, it’s against State law to hire a contractor that isn’t licensed. Learn more: Permit Guidelines for St Johns County, Florida. This is the fun bit, and it’s an excellent way to fill in the time while waiting for those permits. Choosing the materials for your home. You need to consider everything, from windows and counter-tops to doors, paint and fixtures and fittings. Your builder should be able to give you some advice on preferred suppliers in your local area. Keep in mind your budget while shopping! Your permits are in, so now it’s time to get that final quote from the builder. Once you’ve accepted it, you’ll be asked to sign a contract for construction. This binding agreement between you and the builder will set out what you can expect in terms of performance and timelines. It will also specify the payment terms. Make sure you understand the scope of the work to be carried out (i.e. know what’s not included, not only what is included). Consider having an attorney review the contract for you. Construction projects are long and complex, and there are many pitfalls that you’ll want to avoid. Having a specialist check the contract for you will give you peace of mind. Yay! It’s time to get building. How long it takes to construct your house will depend on numerous factors. Everything is determined by the complexity of your house design plans, the ground condition of your site, and the process adopted by the builder: from laying the foundation and putting up rough framing to installing insulation, dry walls and interior trim.In St Johns County, the average construction time for a single-family custom-built home is between 10 and 16 months. Okay, your house is built, but you can’t move in yet. It needs to be inspected, approved and certified that it’s suitable for occupation. True, your house will have been inspected periodically during construction in line with the State’s building code and all other applicable laws. Nevertheless, a final inspection is required after all the work is done. It is unlawful to occupy your home if you do not have Certificate of Occupancy or a Certificate of Completion. The final inspection of your house is carried out by a local government agency or building department. In St Johns County, Florida, inspections are carried out by state licensed inspectors, and there are certain procedures you need to follow to avoid fees or penalties. Note that it is your duty as the permit holder to schedule the inspection. It is not the responsibility of the builder. The inspection is done, the builder’s been paid, the waiting is over. Now you can move in to your custom-designed home. Now that’s a journey worth making! Ready to design and build your own home? Contact me and find out more about my custom home design services.